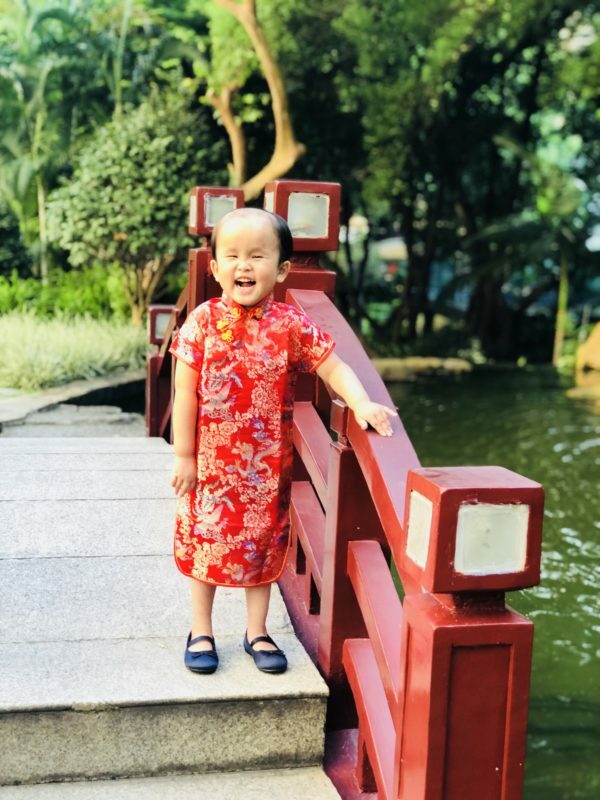 My husband and I recently adopted a precious little girl, Virginia Mei, from China. Virginia Mei’s adoption was a special needs adoption. We chose Virginia Mei knowing she had hydrocephalus- fluid on the brain. 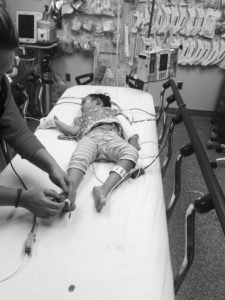 In China, we were informed from caregivers in her orphanage that she had a shunt in her head to help relieve the fluid buildup. Virginia Mei’s head was even shaved so we could see her scars. We welcomed her home and quickly fell in love. She is ray of sunshine that radiates joy to all she encounters. We learned some words and phrases in Chinese (Mandarin) and she began learning a few words in English. Days before her scheduled adoption check up in the United States she became severely ill one morning. Screaming and crying while holding her head she yelled wildly in Chinese. I quickly called a friend who speaks fluent Chinese. Virginia Mei told her that her head just hurt so badly. Then she began vomiting profusely. I had researched previously signs to look for when a shunt malfunctions so I took her immediately to our pediatrician. I was then told to rush her to the Vanderbilt Emergency Room and they would be ready. I cannot describe in detail that drive. While I drove with my hazards on, she began foaming at the mouth and she was unresponsive to my screams. I believed in the depths of my heart that I had lost her. I ran her into the ER where they immediately took her back. Everyone involved was incredible. They could immediately see that she was having seizures over and over again. Once they got them under control they took her back for testing. To our disbelief, and contrary to the report we received in China, she actually did not have a shunt in her head. And she continued to have seizures. Virginia Mei remained five more days at Vanderbilt. They placed a shunt in her head for her hydrocephalus – her ventricles were four times the regular size. In addition to the shunt procedure for hydrocephalus, we were also sent home with a prescription for twice daily seizure medication. But this is where we were shocked to our core. 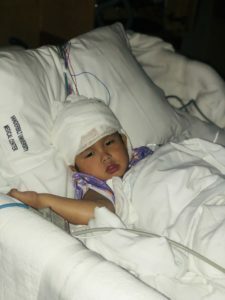 Not only does Virginia Mei have hydrocephalus, she also has epilepsy. It seems whatever attacked her brain and caused the hydro also did the damage that causes her seizures. They are separate ailments from a likely common source. As a momma, I was in shock but deeply grateful for healthcare and medicine. A few months have passed. Virginia Mei has only had a few small seizures since. We are educating ourselves. We are learning. We are prepared just in case. Fear crept in and yet, it did not remain. 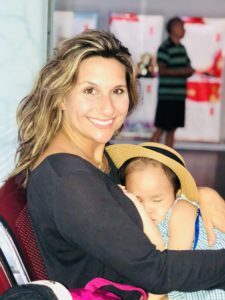 I am learning that there is a stigma associated with epilepsy and I hope that the stigma changes – for our girl and for all those girls and women that have epilepsy. Her disorder does not define her. We cannot imagine our lives without our Virginia Mei. She has been strong and brave in her new country and in her new home. She is a fighter. Virginia Mei will be living with epilepsy because it is a part of her story. And what a story it will be. Lindsey is a wife and mother to 6 beautiful children. 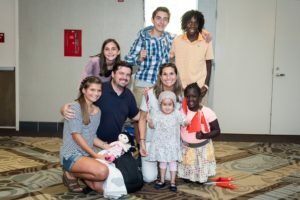 She is lives in Nashville, TN and has a heart for orphaned children throughout the world. This entry was posted in Girls With Epilepsy, Real Life Epilepsy Stories and tagged #1in26campaign, adoption, Epilepsy, epilepsy and adoption, epilepsy and girls, Epilepsy Awareness Month, Girls with Epilepsy, hydrocephalus and epilepsy, Mother's of girls with epilepsy, My Epilepsy Story, pediatric epilepsy, Personal Story, seizure, seizure medication, Vanderbilt neurology.